Editor’s note: This post first appeared in a slightly different form here in January, 2016. However, its lessons are still as valid as they were last year, and Nick has recently opened enrollment for his groundbreaking course, so I thought it was worth repeating for authors today. One of the reasons it’s so exciting to see new people coming into the indie publishing field is that they are constantly re-imagining the processes and strategies we’ve been using in new and useful ways. Nick Stephenson is one of the most exciting authors to “crack the code” on how to build your readership, often quite quickly. 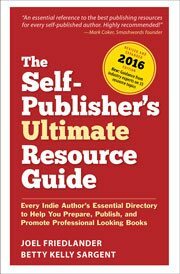 There’s simply nothing that will help you reach your publishing goals better than a robust author platform, and that requires people—lots of them. Nick’s system is so solid, and has worked wonders for so many authors, I’ve partnered with him to bring his course to my readers. He has opened enrollment for the course and accompanied it with some bonus materials that will be very helpful to you going forward. I invite you to find out more about this opportunity while it’s available: Find Your First 10,000 Readers. I asked Nick to tell us a bit about how he put his system together, and here’s his report. A few years ago I launched my first book. A novel. I had been holding onto the book for a while. I had decided it wasn’t good enough. Then I decided it was. I uploaded everything to Amazon’s KDP dashboard and sat back, mouse hovering over the “publish” button. I waited 48 hours to click it. During that 48 hours, I decided I didn’t want to find out what it felt like to have a failed book. A book I had spent close to a year writing, re-writing, and obsessing over. Then I decided I didn’t want to find out what it felt like to have a successful book, either. I wasn’t used to people paying attention. At the 47th hour, I realised I had found myself at a roadblock. I was scared of failure, but I was also scared of success. In the isolation of my creative cave, I didn’t have to worry about things like sales, or readers, or reviews. I just wrote the best damn book I knew how. I started to understand the appeal of traditional publishing at this point – “hey, here’s my manuscript – you take it from here!”. (Yes, I know that’s not really how it works but that was my perception at the time, however wrong it might have been). On the 48th hour I decided I didn’t want to live in limbo anymore. I hit “publish”. Sat back. Waited to see what would happen. Of course, very little happened. There was no street parade. No launch party. The next morning I was up at 6am with the baby and went to work as normal, doing a job I hated. Back at 6pm. Dinner. Baby. Bed. Baby. Up again the next day. I congratulated myself and let the feeling sink in. It felt good. It didn’t last. I played with a few promotions. Paid for a little advertising. Sales improved a little. I started writing the next book. Up at 6am with the baby. Go to work. Write during lunch. Back at 6pm. Dinner. Baby. Write. Bed. Repeat the next day. And the next. I wrote three more books like that. I took the profits and used them to buy advertising. Sales went up a little. After a year I was making 50% of my salary from book sales. Then sales plateaued. Then Amazon launched Kindle Unlimited. Sales started to go down. As a family, we decided I could quit my job and write full time if I could make as much from book sales as I did from my job for six months in a row. Disappointment rushed in. Actually, not disappointment. A constant gnawing feeling that I was going to be stuck in a cubicle for the rest of my life. I started losing sleep. At first I dreaded Sundays – because I knew I had to go to work the next day. Then I started dreading Saturdays, knowing Sunday was only 24 hours away. I released a new book. I expected sales to pick up. Instead, sales returned to where they had been before. I know what I had been doing wasn’t going to get me where I needed to be. I needed to be smarter. Checking some stats, I realized that 75% of my sales came as a direct result of advertising. Specifically, paying for ads featured in email newsletters. So I figured – why not create an email service of my own? For the next six months I stopped caring about sales. The only thing I wanted was readers. Specifically, readers who gave me their email address so I could tell them about my next book. After six months, while writing my sixth book, I collected thousands of email addresses. From readers who liked my work. I finally launched my sixth book. It hit the top #500 on Amazon within 24 hours. At this time, this was the highest I had ever seen one of my books outside of a big paid promotion. Over the following months, my readership increased. I told my followers about my other books and sales increased too. Soon after, I quit my job. Then I wrote two books teaching other authors how to do the same thing. Following their success, I created an online course and other products designed to help authors escape the cycle of disappointment that I had experienced for so long. Sales of all books and products for the last 12 months topped 7 figures. I have over 50,000 readers signed up to receive emails from me. When I launch a book or another product, I know exactly what’s going to happen. I finally have control over my business and my life. And it all started with that first reader. The first person who signed up to my email list. Now, my revenue grows as my audience grows. Not based on the amount of “stuff” I release into the world. Not based on the whims of a multi-national corporation or a highly selective advertiser. In other words, I am the CEO of Nick Inc. and I don’t have to answer to anybody except my readers and customers. It’s scary, sure. But it’s mine. And that’s what matters to me. Now I spend my time teaching others to find the same success. And I’ve never been happier. And it all starts with just a few simple shifts in your mindset and approach. Focus on getting readers, not sales. A sale is great, but it’s a one-time thing. A loyal reader signed up to your email list might purchase multiple times from you (and you control when that happens). Investing in your email list means planning for the long term. Focusing on sales is short-term thinking and unless you are the one selling (instead of Amazon doing it for you) then you have zero control over this. This is bad (Captain Obvious). Traffic is the number of people checking out your books and websites. Conversions are people who sign up to your mailing list. Sales can be influenced by emailing your subscribers. Increase traffic, you increase sales. Increase conversions, you increase sales. And there is no shortage of either on the internet. Your marketing activities should measurably improve either traffic, conversions, or sales. If they do not, go do something more productive. Find out how to put this all into practice with some actionable training. Go see the full description of the training program, plus tons of testimonials from authors just like you who are now enjoying a tremendous boost to their book marketing and list building: How to Find Your First 10,000 Readers. Joel and I both spend a lot of time delivering the best content to help authors build their careers. If you enjoyed this article, please share with a few of your author friends (you’ll find sharing buttons below). And I look forward to seeing you in the course! Nick Stephenson is the author of the Leopold Blake series, Reader Magnets, and Supercharge your Kindle Sales. He also teaches other authors how to find their first 10,000 readers. You can find out more about Nick at Your First 10,000 Readers.